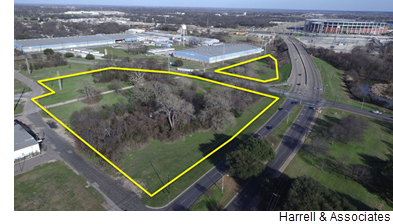 ​​​ WACO – A hotel developer has bought a 9.6-acre tract in East Waco near downtown, Lake Brazos and I-35, where it reportedly will build two new hotels. The area is roughly bounded by Bridge St., Taylor St., and South Martin Luther King Jr. Blvd. The developer who built Hotel Indigo downtown bought the land but the hotel brands involved in this project have not yet been released. Most of the East Waco site is in a Tax Increment Financing Zone​. A portion of property taxes in TIF zones are used for improvements in the zone. Plans have been announced for at least seven other new hotels in Waco, including two proposed as part of mixed-use developments almost directly across the Brazos from the site recently sold in East Waco.